The Library of the Institute of Geography and Spatial Planning/Centre of Geographical Studies provides support to teaching and research in Geography. 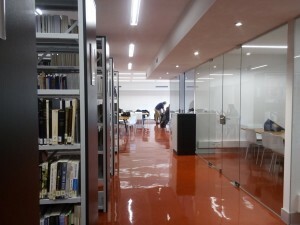 It contains over 21,000 publications (books and journals). Professor Orlando Ribeiro’s bibliographic collection legacy is also open to the public consultation at the Centre of Geographical Studies. The library is updated regularly with new references relevant to teaching and research in Geography and related areas. Springer Open (http://www.springeropen.com/): Journals and open access books from all areas of science, technology, humanities, social sciences, etc..